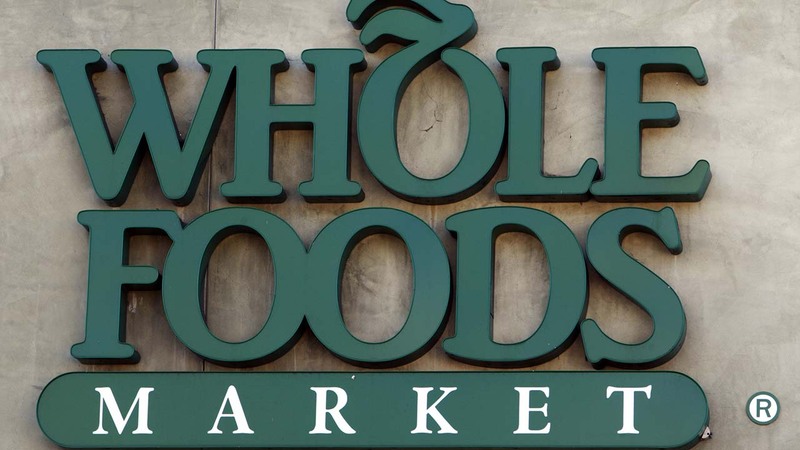 NEW YORK -- Whole Foods Market, Inc. is recalling approximately 33,191 pounds of ready to eat products due to misbranding and an undeclared allergen, the U.S. Department of Agriculture's Food Safety and Inspection Service (FSIS) announced. The product contains peanut, a known allergen which is not declared on the product label. 16 lb bulk containers of "CHILI, TURKEY AND BLACK BEAN" with production dates of 1/14/15 to 2/5/15. 24 oz packages of "CHICKEN CHILI BURRITO" with production dates of 1/14/15 to 2/5/15. 24 oz packages of "PORK CARNITAS BURRITO" with production dates of 1/14/15 to 2/5/15. 24 oz packages of "GRILLED CHICKEN BREAST QUESADILLA" with production dates of 1/14/15 to 2/5/15. 10 lb bulk containers of "CHICKEN CHILI VERDE" with production dates of 1/14/15 to 2/5/15. 10 lb bulk container of "PORK CARNITAS" with production dates of 1/14/15 to 2/5/15. 1.5 lb packages of "CHILI, TURKEY & BLACK BEAN" with production dates of 1/14/15 to 2/5/15. 1.5 lb packages of "CHILI, BRAISED BEEF" with production dates of 1/14/15 to 2/5/15. 23 oz packages of "BLAZIN' BEEF CHILI" with production dates of 1/14/15 to 2/5/15. The items were produced on various dates from January 14, 2015 through February 5, 2015. The products bear the establishment number "20234" and "18768" inside the USDA mark of inspection and have the sell by date printed on the product label. The products were shipped to retail outlets in Connecticut, Kentucky, Ohio, Maryland, Massachusetts, Maine, New Hampshire, New Jersey, New York, Pennsylvania, Rhode Island, Virginia, and the District of Columbia. The problem was discovered when a Whole Foods Market, Inc. manufacturing plant was notified by its spice supplier that cumin used in the chili may have been contaminated with peanut allergens. FSIS and the company have received no reports of adverse reactions due to consumption of these products. Anyone concerned about a reaction should contact a healthcare provider. Consumers with questions about the recall can contact Whole Foods Markets Customer Service at 1-512-477-5566 extension 20060. Media with questions about the recall can contact the Michael Silverman, Director of Media Relations at 1-512-542-3031.